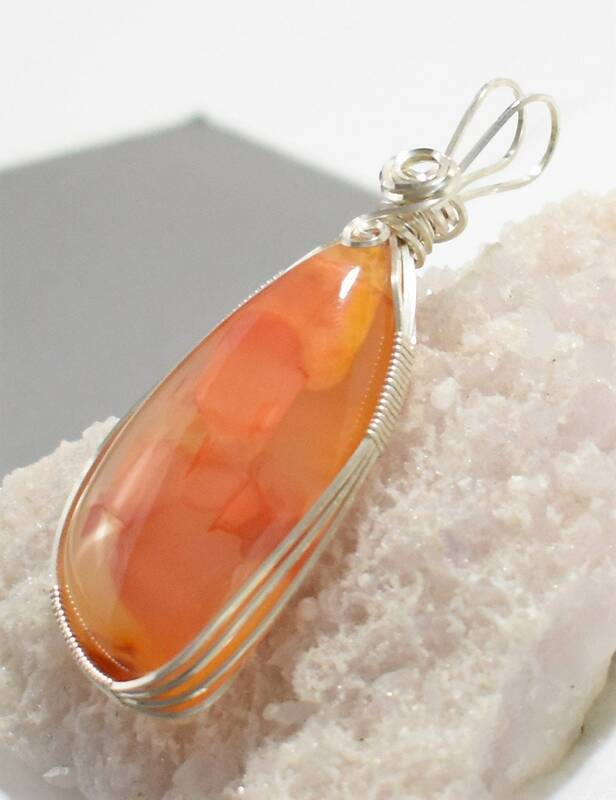 My husband and I purchased several small pieces of rough Carnelian from a private collection; This particular Carnelian is multi-colored and is fascinating to look at. 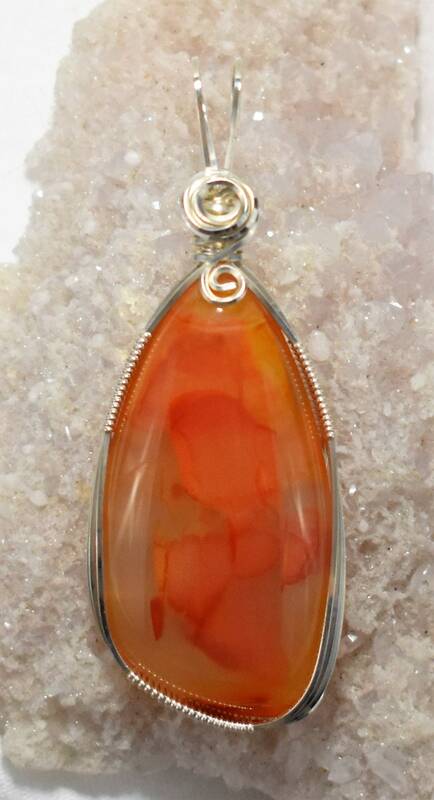 It has an interesting "block" pattern and is cut pretty thick to add depth and dimension to the cabochon. 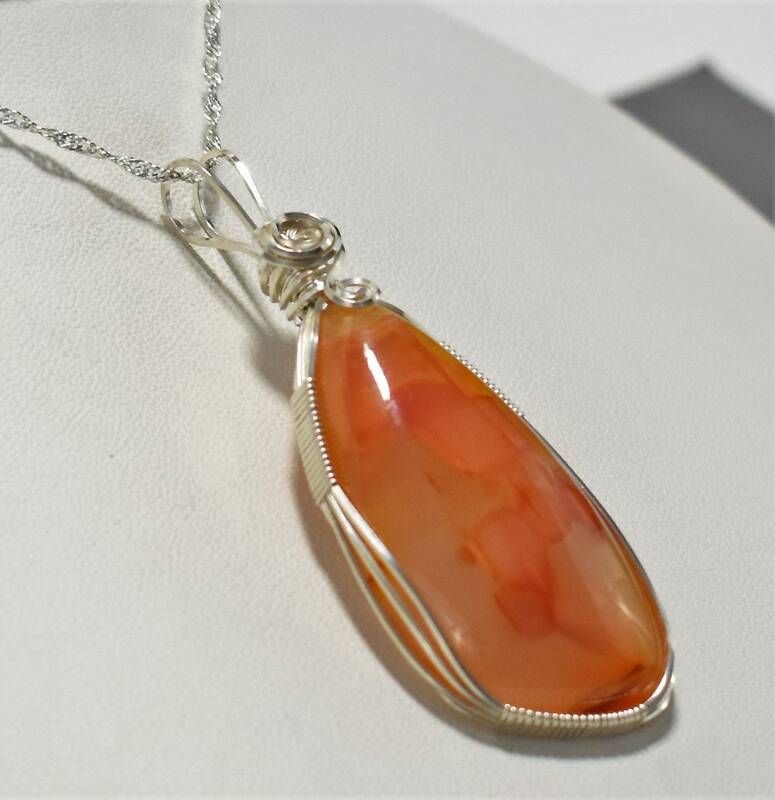 I wrapped it in .925 Sterling Silver wire and paired it with a Silver chain. 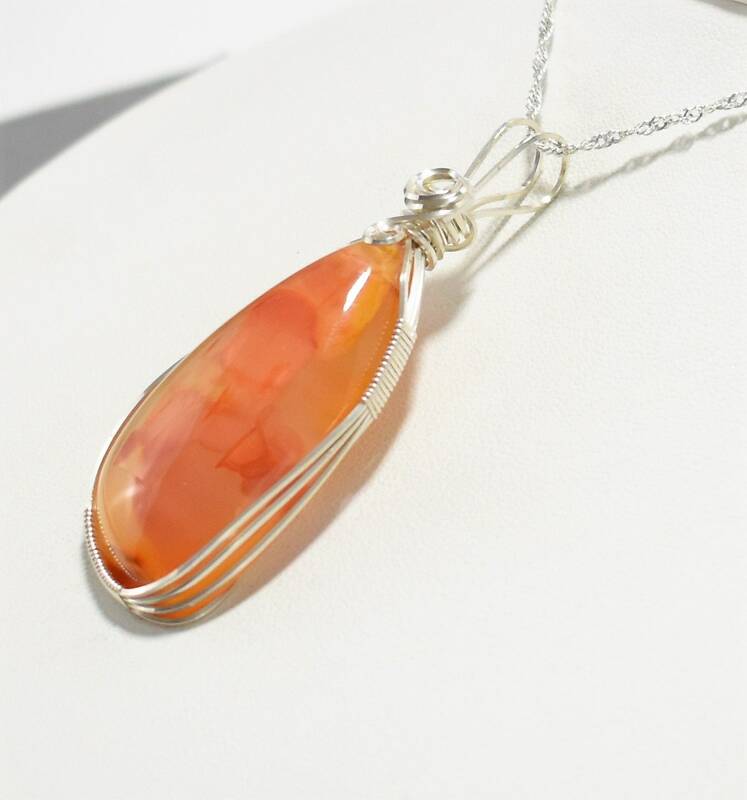 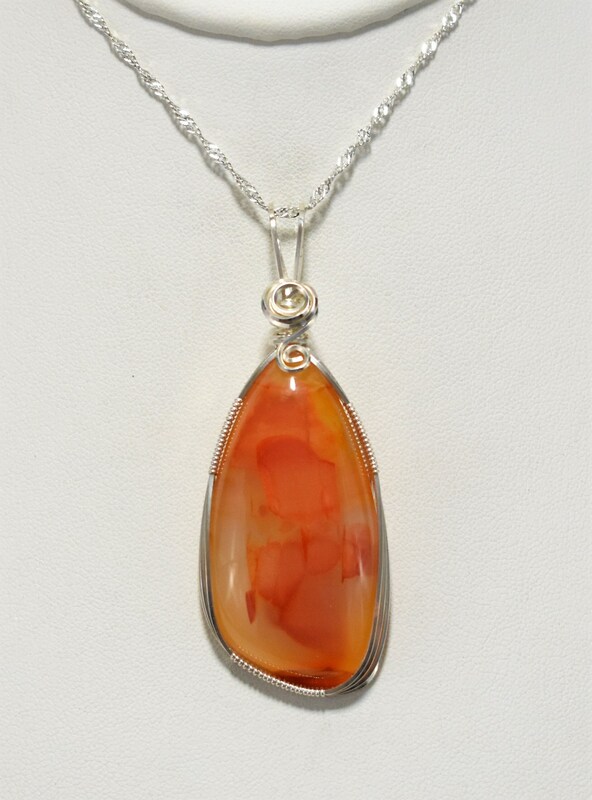 Metaphysically, Carnelian is known as the "singer's stone" as it is a vibrant stone that boosts confidence and the power of true expression. 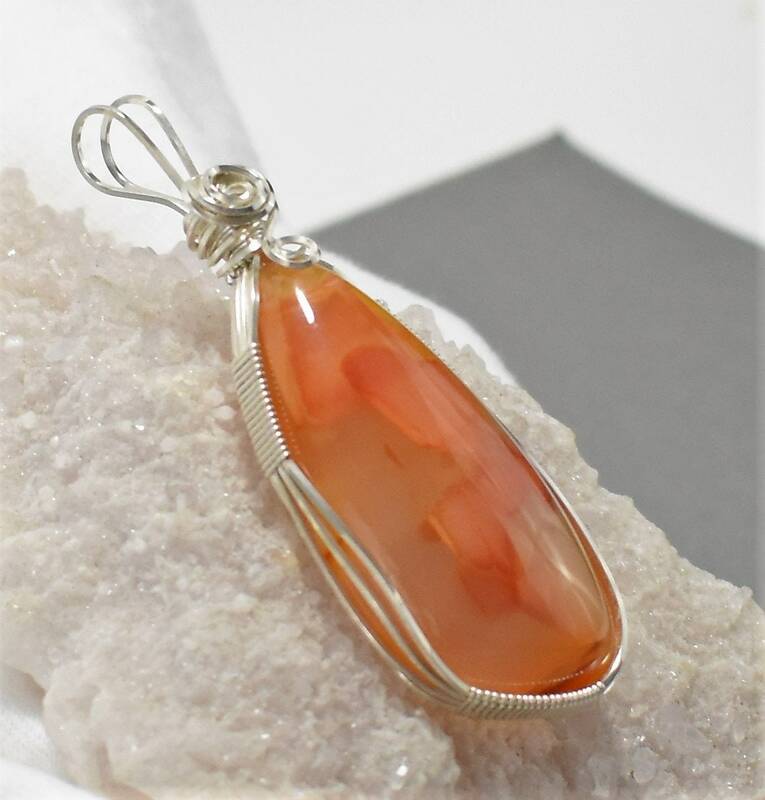 It's associated with taking bold action with its hot and fiery spirit that stimulates the root chakra, helping circulate vital energy to your center, which contains your deepest sexual desires and powerful creative instincts.